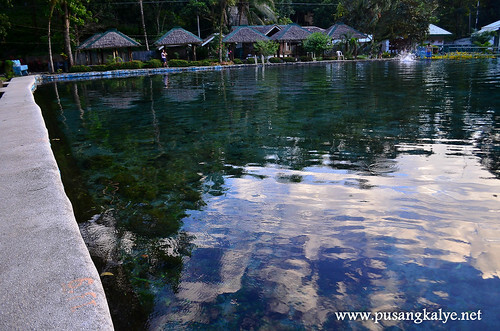 Camiguin locals are very lucky indeed, they live in a small area packed with so many natural attractions. Beach, mountains, waterfalls, hot springs, cold springs, they have it. 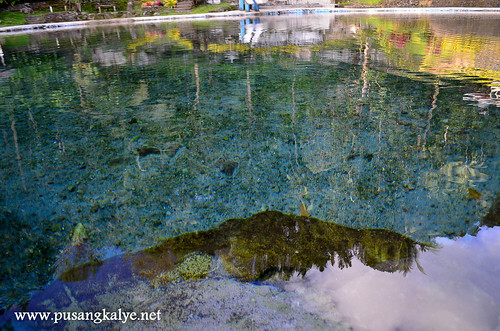 Since there are 7 volcanoes in the island, some are active, it is natural to expect the abundance of hot springs. And that's what I was excited about. I love public baths and in the Philippines, despite our seismological similarities with Japan, we hardly have hot pools in a natural outdoor setup. Why don't we put up more Onsens? 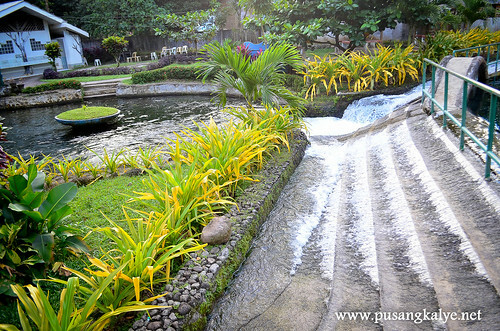 My first ever outdoor hot spring experience was in Coron Palawan and it was a pleasurable one So I was really in high anticipation of Camiguin's Ardent Hot Spring but I was disappointed. 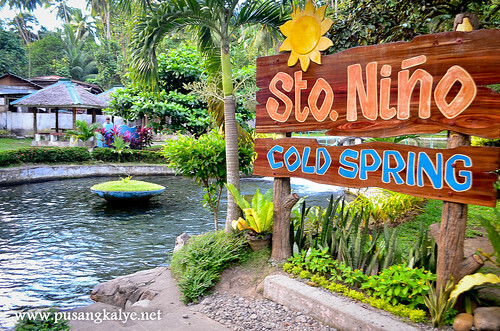 In the end, it was Sto.Nino Cold Spring which stood out for me. First, it is a matter of preference really if you are into cold water or hot water. But I heard both works similarly in terms of relaxing your body. Notice that in public baths, there are both cold pools and hot pools. The extreme temperature can have soothing effect. We went to Sto. Nino Cold Springs first. It was February when we visited Camiguin, still cold season in the Philippines so we thought of just trying the place out for experience. We were not really too jumpy about it but we really enjoyed it. And what about Ardent Hot Spring? We thought of saving the best for last, quite the opposite. Even those who keep the place might have thought we were a crazy bunch going here late afternoon in early February when it is still relatively cold in the Philippines. Who in his normal mind will dip in a cold spring if it is not even summer? That explains why we were the only people here during our visit as if we exclusively booked the place, a very big pool of natural cold spring water. The pool is huge so there is no feeling of being crowded and the water is super clean, so clear that you can see your feet even 5 feet so so under and the sandy base of the pool which makes it so nice because even when you go around and hit on the sand and small rocks in it, it doesn't make the water murky. The fun part is, there are many small fish in the pool, almost miniature, the ones which feed on moss. These are the same kind you find in fish spas which gather mainly on your feet and chip on the dead cells on it. Kakakiliti. Kakatuwa. The spacious area, the verdant surrounding, the well kept resort premises, the super clear water, the natural setup of the pool made me love this place so much. Quite a disappointment really. We didn't set very high expectations, we simply wanted a hot bath in a natural bath. 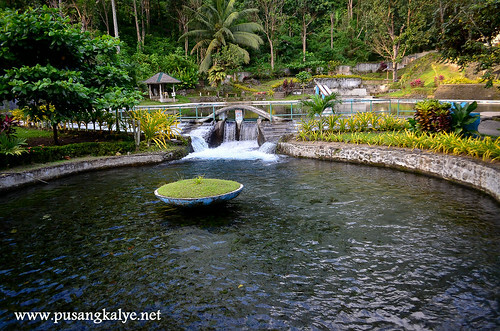 I imagined it would be steaming like MAQUINIT HOT SPRING in Coron, after all, Camiguin is a volcanic island so I expected a hot spring to be hot spring. 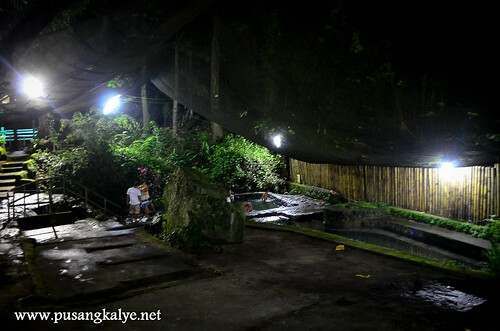 We were wearing our wet clothes coming from the cold springs and traveled 30 minutes to get here and it was already dark when we arrived so we were thinking of a relaxing hot dip. P.S. We were lucky to have found Teddy online. Teddy is the owner/manager of a small tour group called Camiguin Transport. He has a few multi cabs for hire and travel packages suit for your budget and schedule. He is very diligent in checking his email and replying to text messages so streamlining our tour based on our time availability was so easy. I agree I also found Ardent, not well maintain and dirty... Crowded as well. I hope they maintain it because a lot of foreigners are visiting this hot spring. 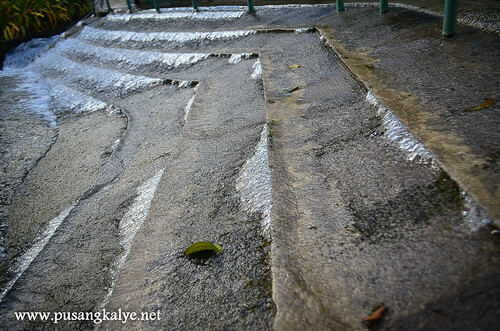 I have been to Camiguin last year and yes as what you said, I was really disappointed too that the water wasn't hot enough to soothe our tired bodies from traveling from one place to another. 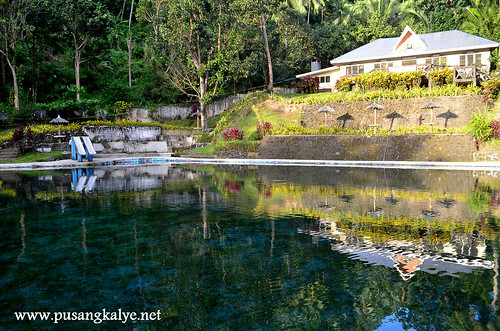 I was so excited at first to go to Camiguin for the first time because that would be the second time I would go to another hot spring aside from Hidden Valley Laguna. I always thought that maybe we chose the wrong level to dip in. 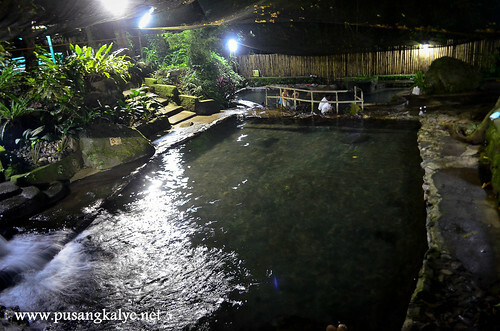 But after reading this, I guess we were in the right level, which is the lowest part of the hot spring! Thanks to your blog, I have confirmed that the spring wasn't hot enough. P.S. I laughed when you said that they should call it Ardent WARM springs instead.